At the inauguration of the Signature Bridge, built under the regime of Aam Aadmi Party, the Delhi BJP chief Manoj Tiwari, entered into a scuffle with AAP supporters, as the BJP legislators were not invited at the launch. The Signature Bridge is to be inaugurated today by the Delhi Chief Minister Arvind Kejriwal and deputy CM Manish Sisodiya. 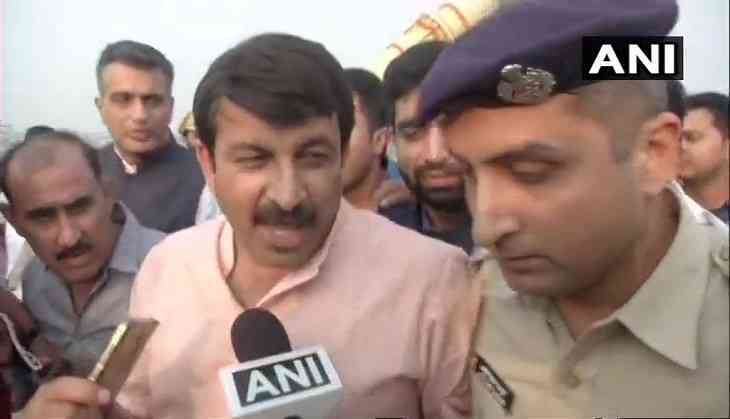 But Manoj Tiwari, his supporters entered into a scuffle with the AAP supporters at the inauguration of the bridge here in Delhi and the Delhi police was present at the spot. The Signature Bridge inauguration was scheduled for today and the AAP had published ads all over the state newspapers for the event and it was alleged that the BJP was not invited in the event.